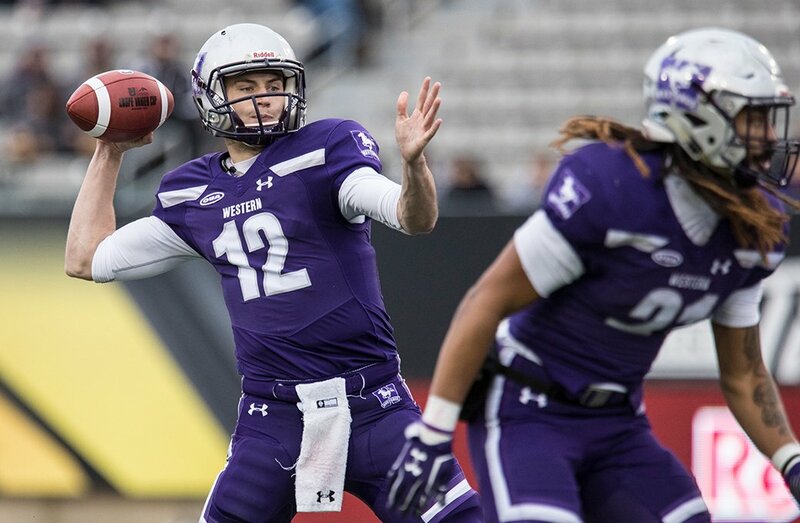 Headlining the InstantScouting 2018 Elite Class: U Sports – Quarterbacks is Chris Merchant of Western University. Merchant is coming off a record-setting Vanier Cup Championship winning season after transferring from the University of Buffalo in 2016. Dual threat QB threw for almost 2000 yards and rushed for 463 yards on 47 carries. Threw for nearly 1800 yards completing 60.8% of his passes at York. High-potential QB prospect completed 62.8% of his passes with a limited amount of attempts. Top QB prospect threw for 3219 yards and 25 touchdowns with only 8 interceptions. 2nd team all-star threw for 21 touchdowns and 2570 yards at Queen’s. Threw for almost 2500 yards with 18 touchdowns and a 66.2% completion rate. During his past season, threw for over 2000 yards with 9 touchdowns at Saint Mary’s. Had nearly a 70% completion rate for the Mounties. Prospect at Acadia had limited playing time in 2017, but looks to make a splash in 2018. InstantScouting is a Canadian based independent global scouting service that is committed to helping aspiring athletes at the collegiate and free agent level showcase their abilities to professional football teams in North America, Europe, Asia, South America and Australia. We offer coaches and professional scouts the opportunity to view some of the best football talent from around the world. InstantScouting has selected its fourth annual Elite Class (Previously known as “Top Seniors” and currently selects teams in FBS, FCS, Division 2, Division 3, NAIA & USports. What makes these teams so special is that they are the only ones chosen exclusively by the scouts who work to create professional football opportunities for athletes.